Yellow with deep red accents. Fragrant. 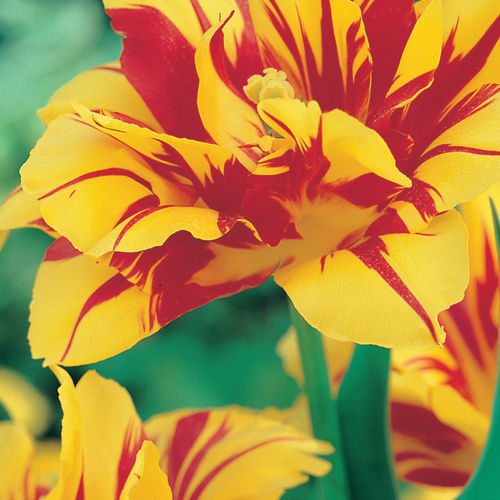 Double Early Tulips, with their double row of petals, create a dazzling color display in the garden during late March and April. 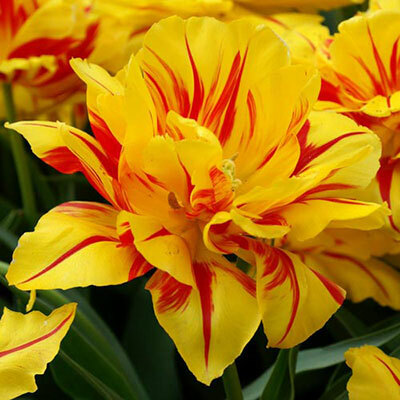 Tall on sturdy stems that will withstand April's showers, all Double Early Tulips are excellent for planting in beds, borders, or for forcing in pots indoors.